I grew up in a small town so it’s not overly surprising that my little community may have been behind the ball on the revolutionary retail staple know as bar code scanning. The practice began in a supermarket in Troy, Ohio in 1974. According to this article some Canadian retailers didn’t convert their practices until the 90s. 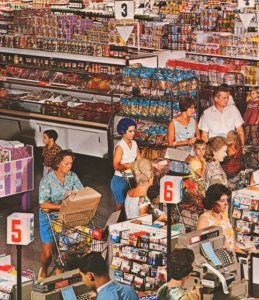 We had two grocery stores in my small town and I remember one switching sooner than the other. In those days, cashiers were accompanied by bagging assistants on all tills as the process took much longer to key in than today’s scan by. And if you’re ever wondering, they typically used all of those tills that we now see only 50 per cent occupied anytime you enter a Sobeys or Safeway. The internet offered the next revolution in the retail sector. 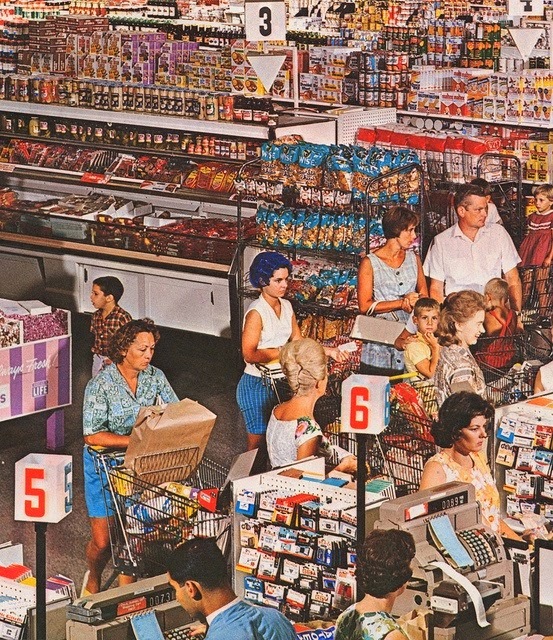 In grocery it’s most relevant in the click and pick up phenomena. No need to spend time walking the aisles scanning for what you require. You select what you need at home and it’s ready for you when you arrive! Retailers like Superstore already offer online sales with convenient pick up and Walmart in the US has also dabbled in this. In a move similar to “scan your own” stations in many stores, Amazon Go in Seattle is experimenting with a full shopping experience that allows you to scan directly at the aisle and walk out with items. This variation of an in person click and pick up still operates on the honour system and hasn’t quite been perfected yet, as witnessed by the attendants that hover over customers in these stores. The final frontier, as predicted by some in the industry, is voice commerce. Imagine this: you’re standing in your kitchen and notice you’re low on bread. How handy that your Amazon Echo is nearby and faithfully waiting on your every command. Now that Amazon has bought Whole Foods the Echo technology could make it possible for you to order your groceries by voice. If you don’t have an Echo, don’t worry, I don’t have one yet either. I find it a little intrusive myself. But with automations in all aspects of our lives coming on day by day, it’s surely not too long until we find ourselves living like George Jetson.